David Leonard Duseberg, age 90, passed away Sunday, February 3, 2019 in Mountain Home, Arkansas. 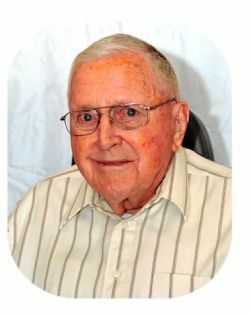 He was born on February 13, 1928 in Barberton, Ohio to Clarence and Emma Duseberg (Oelke). David married Mary Lou Ross in Woodville, Ohio in 1951, where they lived until retirement in 1983. After traveling for three years in an Airstream, they settled in the Mountains of Arizona until moving to Mountain Home in 1994. They have always enjoyed traveling, having visited all 50 states and all Canadian Providences. As a private pilot, they enjoyed many flying trips to Mexico and Central America with one trip thru the West Indies, South and Central America to return. After retirement, Dave became interested in Hunting. He has hunted in several western states and Canadian provinces plus a hunting safari to South Africa. He is survived by his wife Mary Lou of Mountain Home and two sisters: Ruth Roy of McComb, Ohio and Judith Elsner of Cottonwood, Arizona and several nephews. He is preceded in death by his parents. A visitation will be held on Tuesday, February 05, 2019 from 1-2 pm at Roller Funeral Home. A memorial service will be following the visitation with Pastor John Easterling officiating. Interment will be Westwood Cemetery Woodville, Ohio.